Decorative mirrors can do a lot for your home in terms of design and decor. As an added bonus they can make spaces look bigger. When we think about interior design, our thoughts often jump to furniture, paint, art, and soft furnishing. All too often we forget about how useful, not to mention beautiful, mirrors can be. Not only are wall mirrors style pieces in their own right, but used strategically they can make your rooms look spacious and airy. 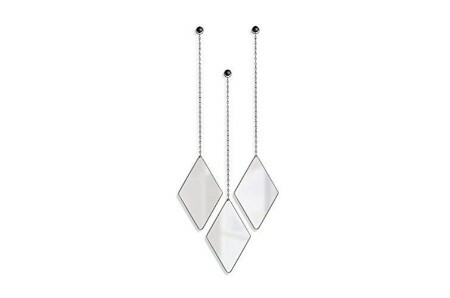 They add light, style, and balance to any room in your home. To really add some wow factor to your existing decor, try wall mirrors. Modern mirrors have broken away from the confines of the stuffy, traditional wall mirrors. Wall mirrors these days no longer means ornate frames perched above a mantle. Instead, decorative mirrors come in a wide range of styles, shapes, and colors. Discover our collection of the best wall mirrors. If you’re browsing mirrors for sale, you might be wondering which kinds of mirrors look good where and whether you should go for framed mirrors or frameless ones. We’re here to help with our guide to choosing the perfect modern mirrors for your home. We’ll take a look at size, style, color, and shape. Shape - You could choose a custom-made mirror or go with regular mirror shapes. Depending on the architectural design of your space, you can push the boundaries with shape, or keep it traditional. A rule of thumb is that tall, thin mirrors add height to a room while wide mirrors make rooms look spacious. Size - It’s important to know where you want to hang your wall mirrors and to know how much available space you have for them. Do measure your wall and the area you’d like the mirror to cover before you go shopping. Next, imagine the space with the mirror in it. Will a small mirror look good, or is a large one a better choice? Color - The color of your wall mirrors for living rooms should complement the colors in that space already. Go for the colors and shades of the furniture you have around the mirror. Or choose a contrasting color that will tie in well with the existing scheme. Choosing the right color for framed mirrors is an important element of home design. Style - Your choice of wall mirrors should depend on the existing decor of your rooms, and your individual taste. There are a lot of styles of wall mirrors available including retro, modern, frameless, vintage and more. Choose a style which matches your existing decor to create a cohesive design. Copper metal and glass decorative mirror, a piece by Umbra, model: 358776-880. Material: top-notch metal and glass, best price for decorative mirror, refreshes your design, must have home décor masterpiece, dimensions 22.25x16.75x3.25. This is one of the coolest gold decorative mirror, made by: Wee's Beyond, upgrades your style, amazing living room artistic accessory. Material: the highest quality of glass, dimensions: 24x24x1. Looks absolutely amazing and unique! Classy pewter glass decorative mirror, produced by MCS, model: 20448. Made of excellent glass, an affordable innovative decorative mirror, dimensions: 21x1.37x27. The smash hit transitional decorative mirror, it's completely staggering. Now you can get the best blue brass decorative mirror, brand: Stonebriar, a beautiful living room design piece. Made of the finest brass, dimensions: 12.5x0.6x12.5. 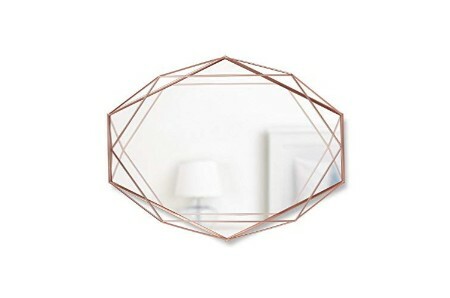 This is a top notch decorative mirror, amazing and affordable unique piece! Look no further and buy this clear glass decorative mirror, made by Umbra, an extraordinary home décor design piece. Made with excellent glass, size: 26.56x6.89x0.67. Now on discount modern decorative mirror, will take your breath away! If you are like us you've always dreamt on having this decorative mirror, created by Yusylvia, a wonderful bedroom elegant piece. Made of high quality glass, dimensions: 25x25. This top notch retro decorative mirror is amazing, cheers! Look no further and buy this silver glass decorative mirror, a piece by Hans&Alice, a superb living room layout accessory. Material: top-level glass, dimensions 38x26x2. 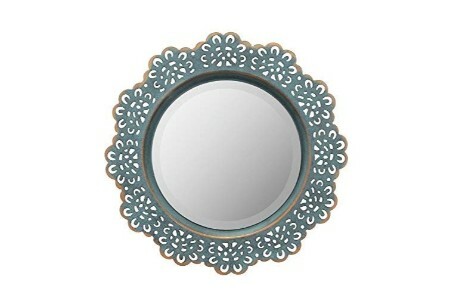 Now on discount 50's decorative mirror, get it before it's gone! Get ready to have the best silver frameless glass decorative mirror, created by Mirrotek, astonishing home décor accessory. Made of supreme glass, dimensions: 1.75x8x60. On sale, the best 70's decorative mirror, enjoy! Silver acrylic and glass decorative mirror, made by: Alrens, model: MS1254. Made with first-class acrylic and glass, this item received the best reviews for rich decorative mirror, a heavenly bedroom design piece, size: 5.5x1.8x7.1. Soft brass recycled materials decorative mirror, a piece by Eco-home, model: EH12572228. Made with recycled materials, this item received the best reviews for decorative mirror, a radiant living room fashionable piece, dimensions: 26x1x32. This is a kickass new silver wood decorative mirror, produced by Signature Design by Ashley, a beautiful home décor layout accessory. Material: top-level wood, size 1.5x36x36. Low cost transitional decorative mirror, exceptional. Beige cotton and glass wall mirror, a piece by Mkono, model: JJJZBS001. Made with fine cotton and glass, low cost creative wall mirror, a beautiful bedroom elegant piece, size 2.4x3x34. A really unique nautical wall mirror! Copper glass decorative mirror, manufactured by Best Choice Products, model: SKY4540. Made of supreme glass, special innovative decorative mirror, a sublime living room classic accessory, dimensions 38.5x27x3.5. The best selling modern mirror. 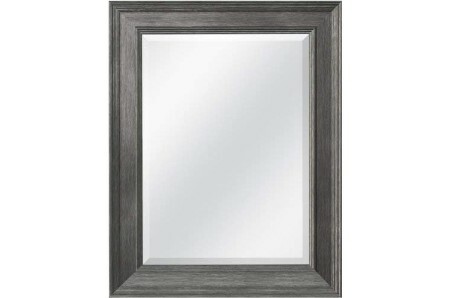 Wood and glass decorative mirror, brand: Stonebriar, model: SB-6138A. Made of prime wood and glass, this is a bargain decorative mirror, a heavenly home décor artistic accessory, size: 31.22x1.5x31.22. Finally the best retro decorative mirror. Grey glass decorative mirror, brand: Kiera Grace, model: PH40319-3. Material: glass, save money with this decorative mirror, a delightful bedroom fashionable piece, size: 10x2x10. If you are a fan of art you will love this 50's decorative mirror. Incredibly cool, this amazing octagon - gold glass and plastic decorative mirror, by: Millennium Art, a superb living room accessory. Made with supreme glass and plastic, dimensions: 16x1x16. Low cost 70's decorative mirror, tremendous! 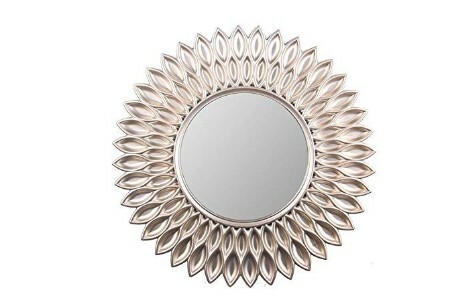 Silvershine glass decorative mirror, manufactured by LuLu, model: LP303. Made of excellent glass, buy it now top rated for decorative mirror, a beautiful home décor artistic accessory, size: 23.5x1.5x23.5. The best modern decorative mirror. Ingenious invention, check out this natural cork glass mirror, created by Ms.Box, a beautiful bedroom accessory. Made with the very best glass, size 17.9x15.55x1.18. Now on limited time discounts for decorative mirror, and for a reasonable price. Silver glass mirror, made by LuLu, model: 21036. Made with the finest glass, get it cheap, on sale, the best decorative mirror, a beautiful living room masterpiece, size 19". An awesome transitional decorative mirror, exceptional. Magnificent black metal and glass decorative mirror, by LuLu, model: L87M. Material: top-notch metal and glass, get a great deal for divine decorative mirror, amazing home décor layout accessory, dimensions 25x2x25. The best white frame, glass decorative mirror, produced by WoodenStuff, must have bedroom fashionable piece. Made of top-notch glass, dimensions 19.7x11.8. Least expensive cost for modern decorative mirror, will take your breath away! Black plastic and glass decorative mirror, brand: Kate and Laurel, model: 211571. Made of glass, customized bold decorative mirror, surprising living room accessory, dimensions: 1x13x30. This is one of the coolest retro mirrors, a masterpiece! Showpiece white rosewood and glass window decorative mirror, manufactured by: Esschert Design, model: WD05. Made of prime rosewood and glass, high quality decorative mirror, a must have home décor accessory, size: 1.77x14.96x23.23. Lavish silver polyresin and glass mirror set, by Imax, model: 52977-7. Material: top-notch polyresin, glass and mdf, buy it now top rated for decorative mirror set, surprising bedroom fashionable piece, dimensions: 1.75x13x12.75. Most times, when we want to beautify our homes, we overlook the design power of wall mirrors. It is one thing to have a mirror (or mirrors) in your home for practical purposes, and quite another thing to actually decorate with them. Unique mirrors offer a great way to add personality, depth, and space to your rooms. Look in, not out: Need to see what’s going on behind you while you’re in the kitchen? Keep an eye on your kids easily with this tip. Mirrors can be placed in front of a window so you can see the whole room at once. This works especially well in large rooms. Walls: Make your walls look bigger and taller with strategically placed mirrors. Try a large circular one at the end of your hallway to create depth. Or a large floor to ceiling mirror in your bedroom. If you want to add a touch of style you need this copper side table, brand: Umbra, upgrades your style, amazing home décor classic accessory. Material: supreme copper, size 15x15x22. This is the best price for retro side table. Experience an adventure with this copper metal wall clock, made by Umbra, refreshes your design, must have home décor fashionable piece. Made with top-level metal, dimensions 12x12x2.25. Low price new wall clock, and that's just the beginning! This simple and understated design is the best copper resin wall vessel, made by Umbra, a beautiful living room adornment. Made of prime resin, dimensions: 9x3.75x15. This is the best price for modern wall vessel, everything you ever needed. Rich clear metal table lamp, by: 360 Lighting, model: TT16112601. Material: high quality metal, now on discount stylish table lamp, amazing home décor fashionable piece. Get the most out of this vintage table lamp, incredibly cool! Silver metal vase, a piece by Hosley, model: FBA_HTM4876017S. Made with the highest quality of metal, best price for innovative vase, a superb home décor fashionable piece, dimensions: 5x16.5x5. The best modern vase, it’s an amazing décor item! It's hard to beat this awesome beautiful acrylic coated cotton oil painting, created by Asdam Art, amazing home décor brilliant masterpiece. Made of top-level acrylic coated cotton, dimensions 0.7x39.4x19.7. The best deal for modern oil painting.